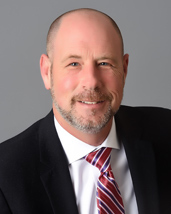 Mark Kimmerling is a 18-year veteran of originating mortgage loans and building personal relationships with his clients. He is federally licensed, as well as being licensed in the states of Connecticut and New Mexico. Mark specializes in conventional, FHA, VA and USDA loans along with current first-time homebuyer programs. He takes hands on approach to educating his clients on the loan process and takes pride in efficiently expediting the loan through closing. In his free time he enjoys traveling and attending sporting events.